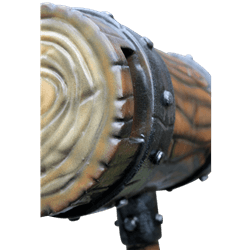 Wield the LARP War Mallet in battle for the ultimate in massive, crushing blows. Formidable and devastating, this LARP weapon has been expertly crafted to make it safe, easy, and satisfying to use for live action roleplay combat. 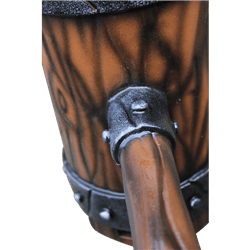 The head of this war hammer features a unique, hollow construction that makes it light weight and easy to maneuver. Made of a strong and flexible latex, it is supported by an interior foam rod to help it maintain its shape. The haft is also made of sturdy, latex-covered foam and features a fiberglass core. Its hand painted nature may result in slight variations in its realistic, dark wood appearance. 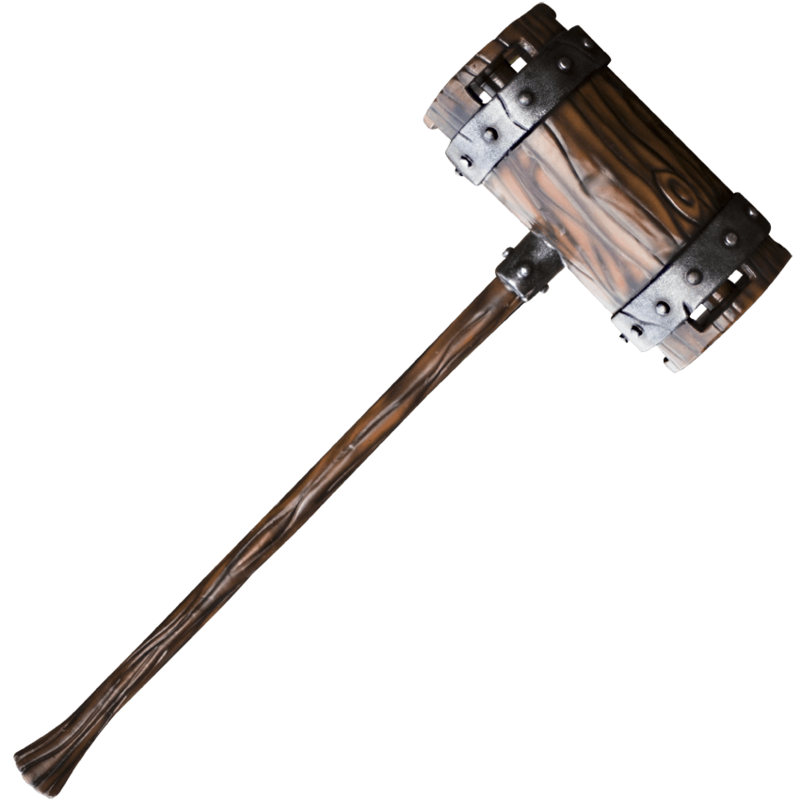 The LARP War Mallet is a stunning, authentic looking LARP weapon with a medieval feel, ready to strike at your next LARP event. This LARP War Mallet is approximately 39.8 inches in overall length. 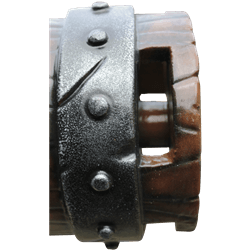 This measurement will vary as each LARP War Mallet is handmade. Due to its massive size, this item is not eligible for free shipping.